You’d surely like to play role-playing video games like The Division 2 on your PC for a much better gameplay experience on a bigger screen. However, there are times that you are too lazy to set up PC for gaming. Or you just want to lie on the bed while playing your favorite PC games on a smartphone. Whatever your concern is, there’s a solution to help you do this. 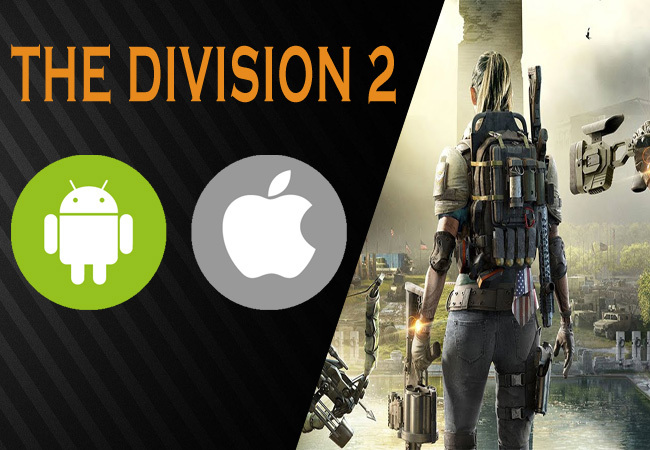 Just like your media content, you can also stream PC games on your smartphone; therefore, you will be able to play The Division 2 on Android and iOS devices. Read along the article to learn the best possible way to do this. ApowerMirror is a screen mirroring tool that enables you to mirror phone to PC and play games on PC. It also enables you to send the display of your computer screen to your mobile device with no quality loss. This means that you will get to enjoy the original quality of the media you are playing from your PC to phone. Upon mirroring your PC to phone, you can input text using its keyboard feature as if you are typing in front of your computer. And, if you want to draw lines and figures for highlighting parts from your presentation, you can do so using its built-in marker. 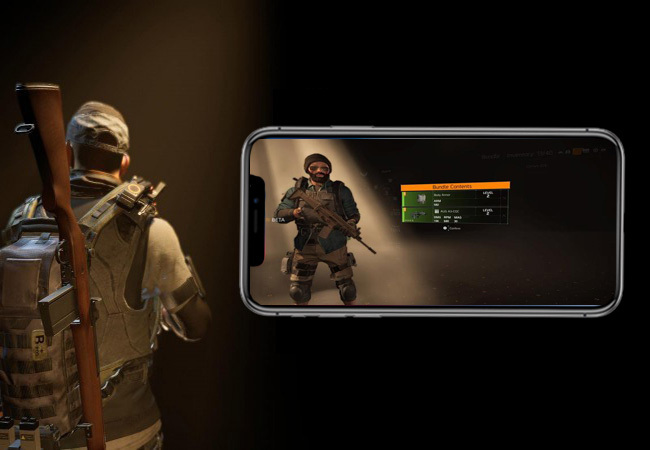 Here’s a brief guide on how to play The Division 2 on Android and iPhone. Download and install ApowerMirror on your PC and phone. Connect your phone and PC to the same WiFi network, and then launch the app on your PC and phone. On ApowerMirror app on your Android or iPhone, tap the blue “M” button to search for devices, and it will detect automatically. Select the name of your computer, and then tap “Computer Screen Mirroring”. Afterwards, your PC screen will be shown on your phone immediately. Then, you’ll be ready to play The Division 2 on your iPhone or Android device. After learning how to play The Division 2 on iOS or Android, here are some tips and tricks that you should keep in mind when you play the game. You can take out enemies in various ways, and it also depends on the gadget that you are going to use. Each gadget will give you a unique skill and choosing a skill that suits your gameplay style will make a lot of difference. Perks are also important. These are things in your inventory that need upgrades to strengthen the ability of your character to fight. As for the absolute must-have from the get go, Accolade perks are recommended. This will boost your progress in the game and levels your character quickly. You should also unlock Deconstruction perks. This is useful to increase resources for scrapping items. This is a crucial step since it’s the only way to keep progressing on the game. In addition, it will give you some great gears as well as the ability to shape and tune your character build. On top of that, the best time to craft is at the level 30 cap and the endgame where crafting becomes a big deal. It’s one of the reasons why you need to hold back on crafting initially. The dark zone is where the ruthless battle happens. Here you will be able to take and steal excellent gear by fighting with the other player. However, you can only enjoy this privilege if you were able to get out alive. You also need enough Division credits to pay for crafting. In the early game, you can get credits by selling the gear you no longer need. However, you may use them for deconstructing materials, or they may be donated to settlements for you to get extra XP. Also, you will be able to earn credits by completing Ubi Club challenges. Reloading manually gives extra bullets. You can cancel the reload animation by doing dodge roll. Turn on “Numeric Skill Cooldowns” from the options menu in order to know when your skills are available. Use your skills as much as possible. Break away from cover to initiate a quicker vault. 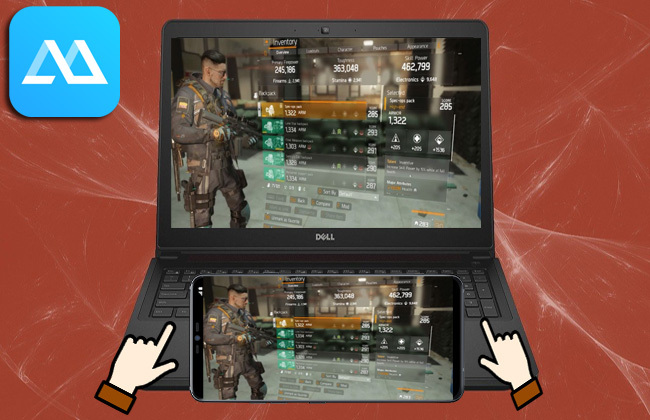 With the help of the tips and tricks you can now run The Division 2 on mobile on a different level. Hence, using ApowerMirror to cast your game play makes it even more special. Now you won’t have to sit long enough in front of your computer just to play games.